By: Erik Hyrkas on February 1, 2018. 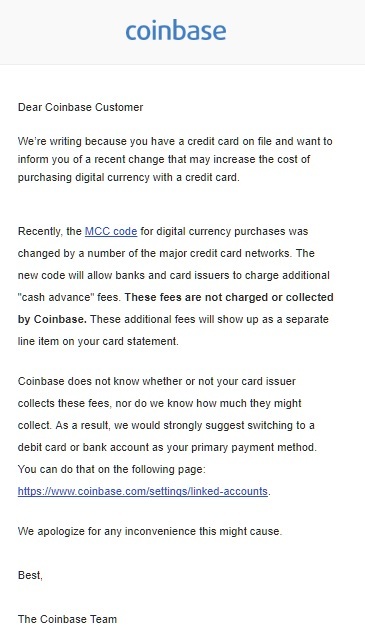 Coinbase sent an email to users this morning warning of credit card company changes that could affect customers. 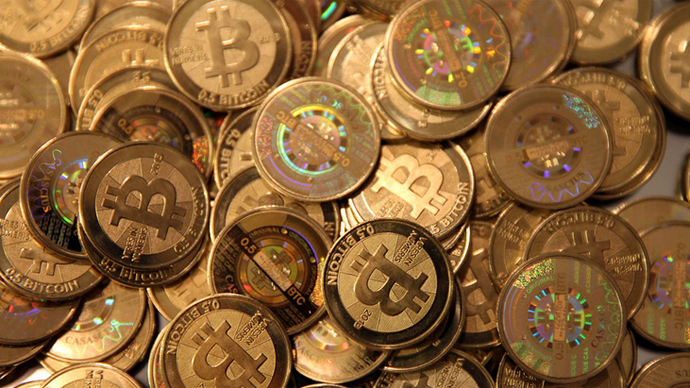 Changes to the MCC code for digital currency purchases could cost investors by allowing credit companies to charge higher fees via cash advances. MCC codes, or merchant category codes, are numbers used to classify goods and services by credit card companies. They can be used to define rules of specific purchases. In addition, they can be used to note whether or not specific purchases need to be reported to the Internal Revenue Service. Cryptocurrencies have been under the microscope of world governments, and regulation is still being considered by many, including South Korea and China–where recent regulation talks (and insider trading) caused a bear market for almost all digital currencies in January. These new MCC code policies appear forward-looking to future regulation. It should also garner credit card companies a profit from the popular craze, especially from the likes of Bitcoin, Ethereum, and Litecoin trades through Coinbase. Meanwhile new cryptocurrency exchanges continue to pop up around the globe, and some are partnering with new independent payment services such as Masterpayment in Europe. According to Bitstamp, a digital currency exchange, their recent partnership with Masterpayment is decreasing transaction fees via Visa and Mastercard credit cards by 3 percent. 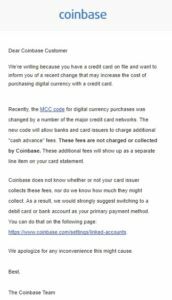 Coinbase frequently writes about safety and security of digital currency investment, so the email mention is one that may help build trust for their customers. And that’s a smart calculated move, especially when new digital currency exchanges, such as Robinhood’s new cryptocurrency app, threaten to compete with their current business model.